Global Hotel Exchange, the new free reservation system for hoteliers, announces signing one of the world's most famous hotels - The Waldorf=Astoria. Global Hotel Exchange: global Internet reservations with no merchant discounts, commissions, or distribution fees of any kind. We sincerely appreciate the Waldorf’s validation of Global Hotel Exchange as an open market provider of simple and transparent market based pricing for consumers. World travelers will find some of the finest hotels in the world faster and easier when Global Hotel Exchange (GHX) premieres a set of industry-defining customer-first features later this month. The company revealed today having signed up an iconic New York landmark, The Waldorf=Astoria. For more than a century, The Waldorf=Astoria has been renowned for its timeless elegance, luxurious amenities, and unparalleled services. This grand hotel is one of the many legendary hotels that have already trusted GHX as the next great distribution channel. Differentiated from most other OTAs (online travel agencies), GHX charges no merchant discounts, commissions or distribution fees of what so ever to hotels. Global Hotel Exchange does not collect any funds from the hotel. 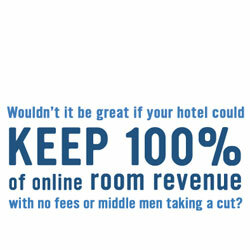 Total room rate, taxes and all other charges are collected at checkout by the hotel. Global Hotel Exchange sends complete reservation data upon booking and the full details necessary to hold each room. For travelers, Global Hotel Exchange eliminates corporate travel pains like pre-travel credit card blocking, prepaid room fees and inflexible cancelation policies. The traveler will only pay hotel fees on arrival at their hotel. The whole purpose of Global Hotel Exchange is to facilitate a direct dialogue between guests and hotels, thus removing the impersonal middleman. The Waldorf=Astoria, an official New York City landmark since 1993, has been an internationally recognized symbol of elegance and grace for more than 100 years. As such the Art Deco masterpiece, occupying an entire city block of midtown Manhattan, is at the epicenter of the city's cultural, commercial, social and political life. A grand hotel in the grandest of traditions, with cosmopolitan restaurants, bustling lounges and bars, more than 60,000 square feet of high-tech equipped function space, state-of-the-art business center and intriguing boutiques, The Waldorf is a microcosm of the city it has served so well for so long. The Waldorf=Astoria is a member of Waldorf Astoria Hotels & Resorts and Hilton Worldwide. Call 1-800-WALDORF or visit http://www.waldorfnewyork.com for more information.